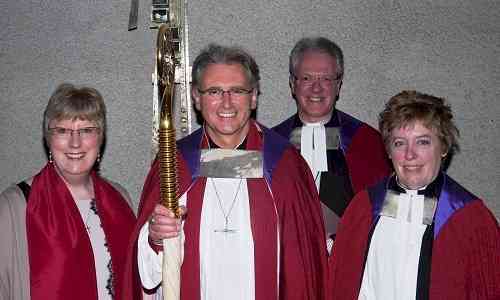 following her appointment as a Canon at Coventry Cathedral. The Bishop of Coventry has appointed two new Honorary Canons at Coventry Cathedral. The Reverend Dr. Jill Tucker is the Area Dean of Shipston Deanery and the Dean of Self-Supporting Ministry, and Mrs Linda Wainscot is the Diocesan Director of Education and a director of the Diocese of Coventry Multi-Academy Trust. They will both be installed at Coventry Cathedral during Choral Evensong on Palm Sunday (April 13th). The service will begin at 4 pm and everyone is welcome to attend.